The fashion consultant, stylist, author and speaker has favorite spots in Tysons and Middleburg. 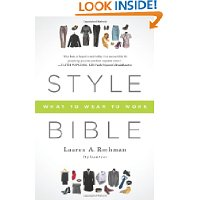 It’s literally Lauren Rothman’s job to keep up with style trends. The fashion consultant, stylist, author and speaker is the woman behind many of the D.C. region’s best dressed politicians, corporate leaders and celebs. But when she’s not with clients, you can find the Style Bible author and McLean resident at some of her favorite NoVA hot spots. Here, she shares her secrets. Your smile is your number one accessory and the best way to own a room is to walk in confident. I love to shop! Not only is it my job, it’s my favorite pastime. I love Roman in Tysons Corner. They have the most unique pieces. Burberry this season is amazing and has the most fab accessories for cooler weather. These SEE sunglasses define my signature style—edgy yet classic! Metallics are hot this season and these Kendra Scott lacquers add the perfect splash of sparkle. I often layer them on top of my mani to make it last longer! My husband and I love Assaggi Osteria for date night and their sister restaurant next door, Assaggi Pizzería, is our goto for family night. Salamander Resort & Spa is my home away from home. Visiting their spa is such a stress release. I especially love to sip Champagne by the fireplace at the outdoor hot tub after a massage. 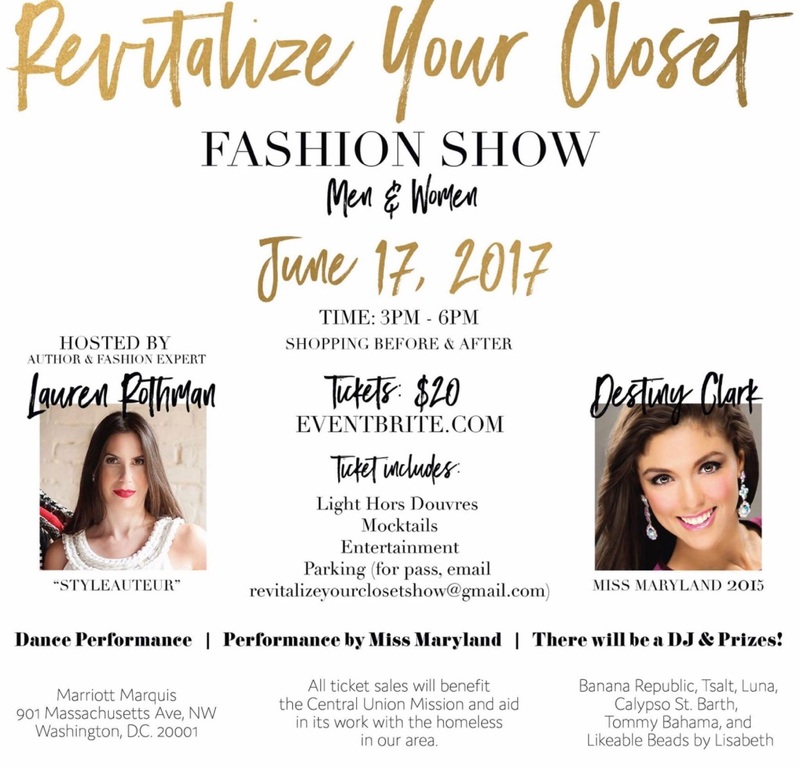 Please see below – Fashion Show on Saturday – June 17 at the Marriott Marquis in Washington, DC for the benefit of “the Central Mission” and aid in its work for the homeless in the area. 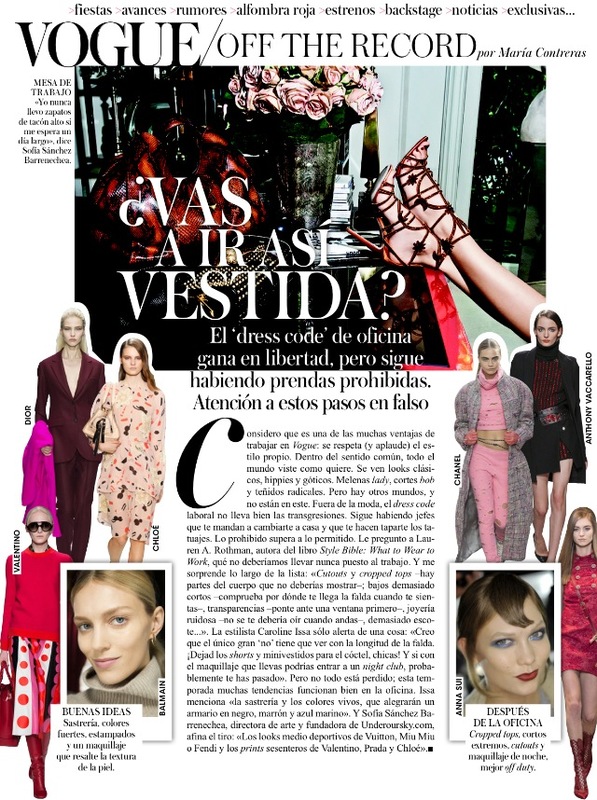 Hola – As Style Bible celebrates 1 year, I am so excited to share my article in the October issue of Vogue Espana. Please call for more information. PRESS ALERT: Lauren Rothman dishes WHCD Style in The Huffington Post! Catch up with Lauren A. Rothman as she gives you the inside scoop on fashion & style on the red carpet! Fashion Whip is a political style column in the Huffington Post by Lauren A. Rothman, inspired by Lauren’s experience as the founder of Styleauteur, a style and fashion consulting firm. Locals will have Hollywood royalty in their backyard this weekend. Saturday is Washington’s big day to dress up, and every year the White House Correspondents’ Dinner festivities get even the most slovenly dressers into a tie or tux. This is the media’s weekend to celebrate and many will push through the daily news cycle as they attend celebrity-studded parties around town. Many of TV and film’s biggest stars will be in attendance but even the flashiest of celebs tone it down on DC’s red carpet. Actors and the people they emulate on TV and in movies will mingle at brunches and cocktail parties. You may see Julianna Margulies from “The Good Wife” alongside someone who really is a good wife, and America’s favorite television president, Tony Goldwyn from “Scandal”, may pose for pics with President Obama. While this event always has a best-dressed list, politicos and press superstars take their own turns to shine at the Washington Hilton. Some famous on air-personalities enjoy fashion and style but, on the whole, this is an industry that doesn’t do spray tans, teeth whitening, or borrowed jewels. You’re more likely to see people getting their makeup done at a Nordstrom counter and a blowout in Georgetown, than ushering a glam squad into their home. Just what, you might ask, is the key difference between a Hollywood red carpet and the White House Correspondents’ Dinner? This presidential send-up is traditionally attended by the District’s old-school press royalty. 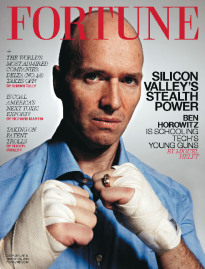 Washington’s most valuable currency is power and here that nest egg grows with experience. Many wear the same shoes for 12 hours and get frustrated when dresses and skirts don’t have pockets — it’s not unusual for me to be tasked at the last minute with finding clutches (with optional straps, of course) to accommodate reading glasses, multiple cell phones, and lipstick. The DC vanguard expects comfort and convenience from their ensemble even in the dressiest of circumstances. Most celebrities visiting the nation’s capital this weekend will be dressed in borrowed designer duds, accessories, and the latest trend in shoes as they are photographed coming and going. They will dress to impress and continue their personal branding through this unique extension of the recent awards season, looking to land an endorsement deal to become the next face of a fragrance, makeup empire, or retailer. The best way to add District sparkle and blur the line between celeb and politico? Rent the Runway — a well-kept secret (totally worth bragging about) that will help any party-goer feel like Cinderella — or First Lady Michelle Obama — and fit right in!